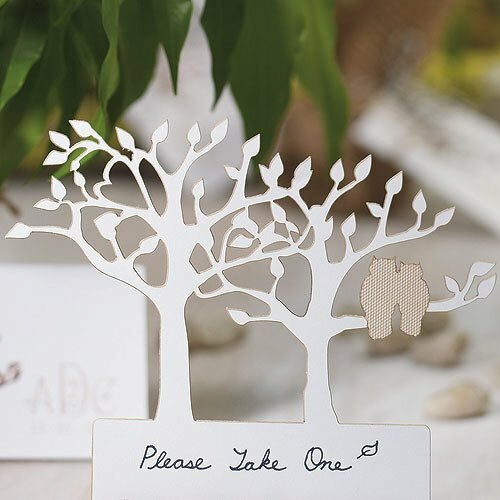 Create unique place markers with our Owl Tree Silhouette Die Cut Cards. Hand write your guest's names on each one to use them as seating place cards, or add miniature messages on them to label buffet items or instruct your guest to take a favor bag. Each white die cut card features an owl tree silhouette design that creates beautiful shadow patterns in a low light atmosphere. Crafted from 100lb Cover Stock, each card measures 4.5" wide x 3.75" high. Sold in sets of 12. Card holders sold separately.